Although the complete results of Venezuela’s December 6 legislative elections haven’t yet been released, the announcement that the opposition Democratic Unity Roundtable (MUD) has landed at least 99 seats in the National Assembly has been met with a wide array of responses. In Venezuela and abroad, governments and officials both sympathetic to Chavismo and otherwise have recognized the opposition victory, and congratulated the country on a successful exercise in democracy. The first, and most notable, to do so was Venezuelan President Nicolas Maduro. When the National Electoral Council (CNE) issued the first wave of results at around 12:30am Caracas time, the president appeared on a nationwide cadena to recognize their validity. While he called the day a “triumph” for Venezuelan democracy, he also blamed it on what the government has framed as an “economic war,” and assured Chavista supporters that it would be only a temporary setback. The MUD, for its part, has also applauded the elections, and the MUD leadership has even boldly proclaimed that it will receive an absolute two-thirds majority of 113 representatives. This would, as noted in a previous post, give them the authority to call a recall referendum on Maduro and remove Supreme Court justices, among other things. In the U.S. Congress, House Foreign Affairs Committee Chairman Ed Royce (R-CA) and Ranking Member Eliot Engel (D-NY) released joint statement of support for the elections, though the statement accuses the Maduro government of attempting to “stack the deck” in its favor. These U.S. representatives were joined in congratulating Venezuela by other governments in the region. The governments of Brazil, Chile, Colombia, and Panama each issued statements of support to Venezuela for a peaceful and organized election. Ernesto Samper, president of the Union of South American Nations (UNASUR), also issued a statement remarking on the experience of the UNASUR electoral accompaniment mission, calling yesterday’s voting “one of the most transparent and effective” elections that UNASUR has ever accompanied. His support was echoed by the head of the UNASUR mission in Venezuela, Leonel Fernandez. 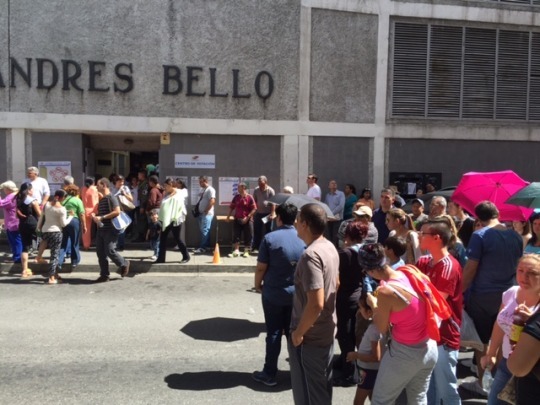 Among Venezuela’s allies in the Bolivarian Alliance for the Americas (ALBA) bloc, there were some interestingly subdued responses to the elections. Bolivian President Evo Morales told reporters that the Chavista loss called for a “deep reflection” to see how best to safeguard what he termed as the “democratic revolutions” in the country.